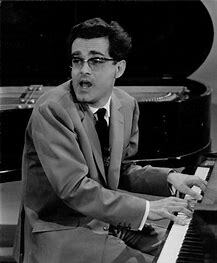 Michel Legrand, who died recently at the age of 86, was a prolific composer, writing the scores to over 200 films and TV shows. He began to study music at the age of 11 at the Conservatoire de Paris and was a noted jazz pianist. It was his jazz-infused score for the 1964 classic Jacques Demy sung-through musical Les Parapluies de (The Umbrellas of) Cherbourg that first brought him worldwide acclaim and his first two Academy Award nominations. 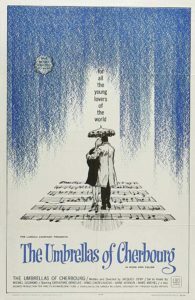 He also composed the score for Demy’s follow-up The Young Girls of Rochefort, both starring a very young Catherine Deneuve. 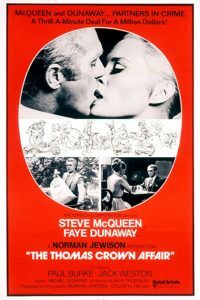 He scored his first major American film, The Thomas Crown Affair, in 1968 where he also first teamed up with husband and wife lyricists Alan and Marilyn Bergman and won his first Oscar. He would end up with 12 Oscar nominations and three wins over his long career. 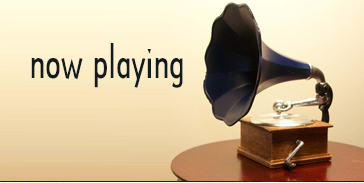 His music is deeply ingrained in the memories of moviegoers of a certain age. For his 96th Kritzerland outing on March 3 at Vitello’s in Studio City, producer/host Bruce Kimmel chose to honor the career of Monsieur Legrand and it was a monmentously melodious melange. Daniel Thomas Bellusci wrapped his dulcet vocal tones around Umbrellas’s two biggest hit songs, “Watch What Happens” and “I Will Wait for You,” the latter one of the most hauntingly beautiful love songs ever written and one I still get misty eyed over whenever I see a train leaving the station. This talented young man also delivered with the rarely heard “Someone New in My Life” from Micki and Maude. Legrand’s association with the Bergman’s would contribute much to the film scores of the 1970’s and 1980’s, everything from Ice Station Zebra to Sean Connery’s return as James Bond in Never Say Never Again. It was “The Windmills of Your Mind” that started the collaboration and Robert Yacko delivered a stellar rendition of that mind-boggling tune that still brings to life the steamy encounters between the young Faye Dunaway and Steve McQueen. Yacko also did a great job with the bittersweet “You Must Believe in Spring” from Rochefort. 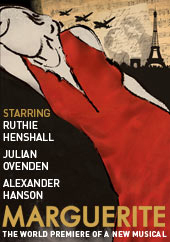 In 1970 Legrand scored the counter-culture film, and Don Johnson’s celluloid debut, The Magic Garden of Stanley Sweetheart. Again teaming with the Bergmans, they created the catchy “Sweet Gingerbread Man” which may not have been intended to be as innocent as it sounds but Kimmel gave the tune to young Ellie Birdwell whose youth and energy gave the song the right, bouncy feel. 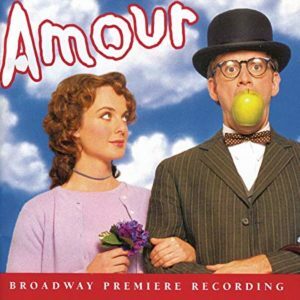 In 2002 Amour marked Legrand’s Broadway debut and earned him a Tony Award nomination for score. The dynamic Kerry O’Malley brought a needed moment of hilarity to the evening of ballads (and I am a ballad-holic so I did not mind the absence of mirth) with her performance of “Whore’s Lament” from the show. O’Malley brought her dramatic chops to bear on the melancholy lyrics to “What Are You Doing the Rest of Your Life?” and “How Do You Keep The Music Playing?”, both with lyrics by the Bergmans. Brittney Bertier also performed a number from Amour, “Other People’s Stories,” and then gave us a true Kritzerland rarity, the zingy, upbeat “Jazz Time,” a song from 2008’s Marguerite. This musical version of Camille seemed to return Legrand to his jazz roots and featured lyrics by Boublil and Kretzmer of Les Miserables fame. Someone needs to at least do a staged concert of this musical; are you listening MTG? Bertier also did lovely work on the put-together of “Summer Me, Winter Me” and “The Summer Knows,” two more romantic classics Legrand wrote with the Bergmans. 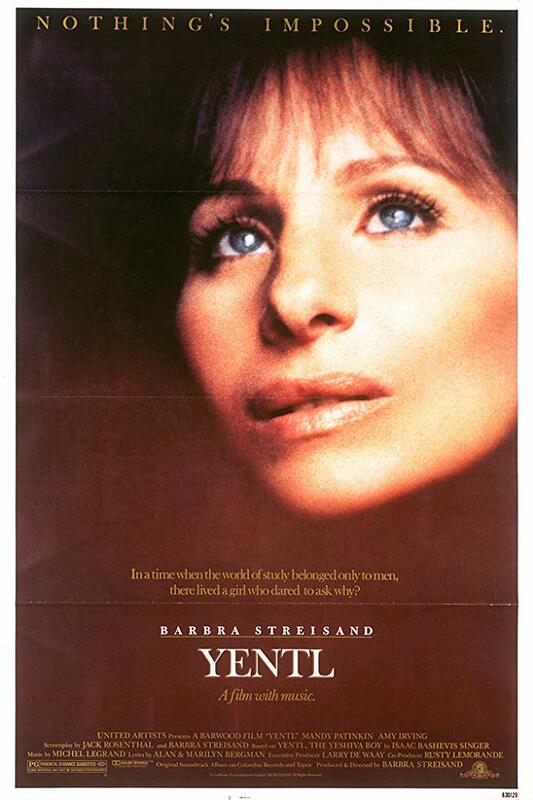 Of course, one of the major achievements of Legrand’s career was his Oscar-winning score to the Barbra Streisand film Yentl. Working once again with the Bergmans , the trio created a wonderful tapestry of emotional musical moments for the heroine of the film. In Kimmel’s singular wisdom, he chose to give five of the film’s songs all to one performer, Jenna Lea Rosen, and boy was she sublime and proved him right. Rosen began the evening with the plaintive prayer “Papa, Can Your Hear Me”. She brought just the right amount of humor to “No Wonder” and then tore out your heart with “The Way He Makes Me Feel”. But it was the evening’s finale, “A Piece of Sky,” in which Rosen soared and brought down the house. It was a great evening of musical performances by all assembled with musical director Richard Allen impersonating a one-man Ferrante and Teicher as he switched effortlessly from piano to keyboard and back again to add various textures to the musicality. As usual, host Kimmel provided the humorous and informative narrative between the songs. Michel Legrand may no longer be with us, but his music will live forever because of the artistry of his work and the singers who sing his songs, like this talented sextet of performers.